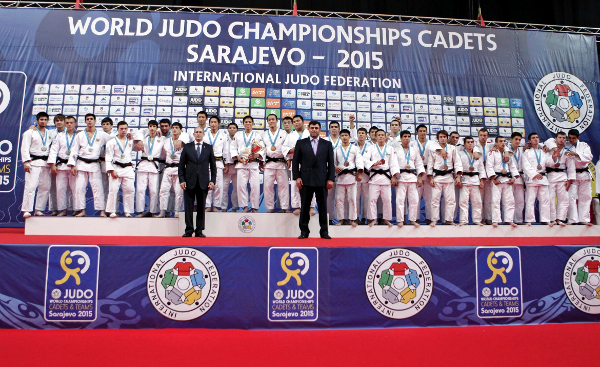 The Cadet World Championships 2015 came to an enthralling conclusion on Sunday as Japan won both team titles at the Olympic Hall Juan Antonio Samaranch. 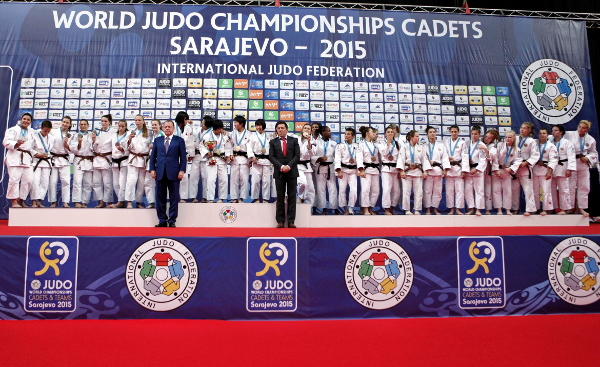 After four days of individual action, the stage was set for the team event as 14 girls’ teams and 13 boys’ teams gripped a captive audience with the judo fans also watching live around the world on the official IJF stream. 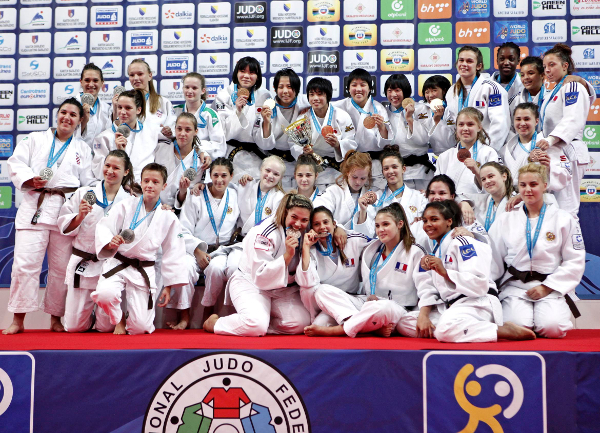 The boys’ final came down to Japan and Russia while the girls’ final came down to Japan and surprise package Croatia who maintained their strong form from the individual competition. 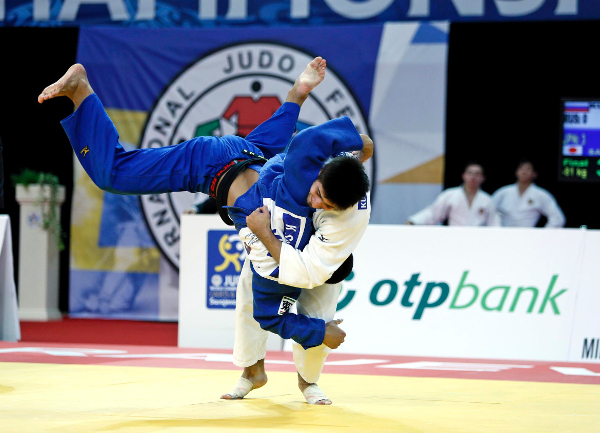 The next IJF event is the World Judo Championships in Astana, Kazakhstan from 24-30 August and you can watch all the action live at www.ippon.tv. 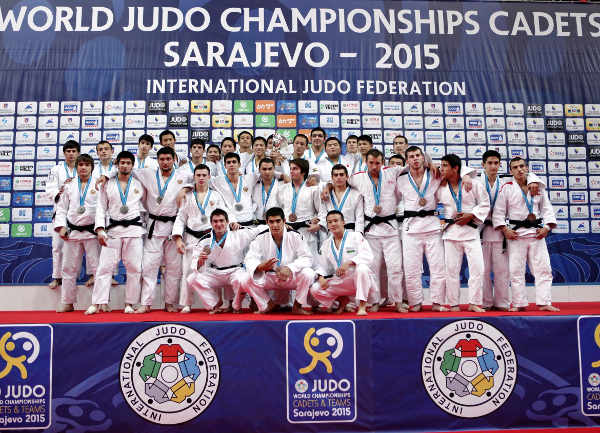 The seven-day IJF showpiece event is the most crucial event before the Rio 2016 Olympic Games as the final World Championships before next summer’s Games. Japan topped the team podium as their girls were in top form to defeat a hard-working Croatian team who were great value for their silver medals. Japan, whose girls won three individual gold medals, started with a win through UMEKITA Mai (JPN) who held down Matea BRLETIC (CRO) with a mune-gatame for 20 seconds to take a 1-0 lead. 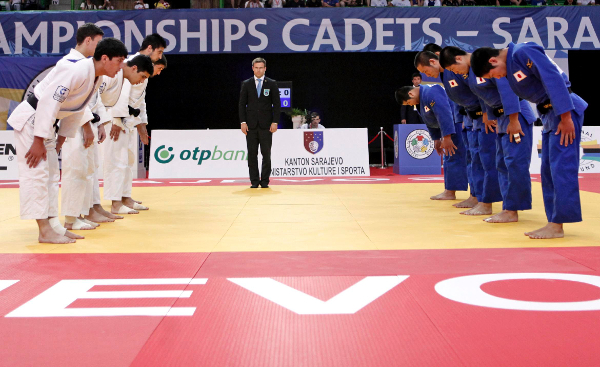 Cadet world champion TOMIZAWA Kana doubled her country’s advantage as she beat Tihea TOPOLOVEC (CRO) in a repeat of the individual -52kg final as the Japanese judoka triumphed once again. TOMIZAWA floored TOPOLOVEC with an emphatic osoto-gari for ippon with seven seconds remaining. TAKEDA Ryoko (JPN) clinched the title by defeating Iva OBERAN (CRO) with scores coming from a waza-ari, a yuko via an ippon seoi-nage and 15 seconds of osaekomi. SASAKI Chie (JPN) made it 4-0 by catching Lara KLIBA (CRO) with an ouchi-gari for ippon while in the final contest individual world champion Karla PRODAN pulled one back by beating TAKAKU Suzuka (JPN) by a waza-ari. In the first semi-final Croatia defeated Russia 3-2 in a nail-biting tie while in the second semi-final Japan stormed past France 4-1. The first team bronze medals were won by France who beat Serbai 4-1 while the second set of team bronze medals went to Russia who overwhelmed Brazil 4-1. Japan doubled up their team success as their boys’ team edged out Russia 3-2 in a thrilling finale. The only boy who won individual gold for Japan was KOGA Genki (JPN) and he gave his team the perfect start by defeating Akhmed BOGATYREV (RUS) with a yuko from ashi-waza and tate-shiho-gatme for 20 seconds. 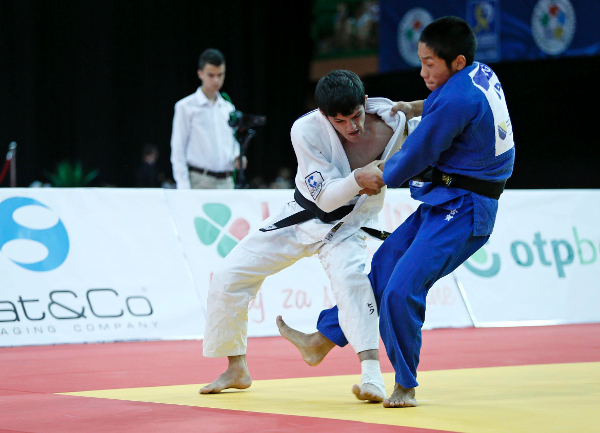 Russia fell further behind as Murad CHOPANOV (RUS) was beaten by ISHIGOOKA Hideyuki (JPN). In the third contest Aram GRIGORIAN (RUS) lost out to WATANABE Kamui (JPN) on shido penalties. In the fourth contest Murad KURBANISMAILOV (RUS) restored some pride by defeating SASATANI Ken (JPN) by ippon after 43 seconds. In the fifth and final contest individual silver medallist Inal TASOEV (RUS) salvaged one more win for his country as he defeated TOBE Naoki (JPN) on shido penalties in the last contest of the Cadet World Championships 2015. In the first semi-final Russia beat Georgia 3-2 in a typically frenetic match-up while in the second semi-final Japan saw off Uzbekistan with ease as they won 4-1. The first bronze medals were clinched by Uzbekistan who pipped France 3-2 while the second set of bronze medals went to Georgia who thumped Kazakhstan 5-0.